Ruby Walsh On Every Grand National Runner! The class horse in the race. Second in this year’s Gold Cup. Still looks relatively well handicapped despite going up 5lbs from last year and should run a big race. Won well on his first start in England and became a real talking horse. However, 4m 2f is a long way and he ran disappointingly on his last start. He’s bidding to become the first horse since Red Rum in the 1970’s to win back-to-back Grand Nationals. He’s in outstanding form and looks a worthy favourite, but obviously because I’m riding against him I’m hoping that carrying 11st 5lbs this year will slow him down. A former Grade One winner but doesn’t look to be anywhere near the horse he was a few seasons ago. He was sold on Thursday night by Gigginstown and James Bowen now rides. He’s been sold by Gigginstown but will love the trip and slow ground would suit him. He ran ok last time and Patrick Mullins rides him. If he’s the horse he was a few seasons ago he could run a big race, That’s a big IF though. He won well at Doncaster on his last start and his trainer Nigel Twiston-Davies has two Grand National winners to his name, so knows how to train them for the big occassion. He’s been a little bit disappointing recently and I’d be concerned that stamina will be an issue for him over this extreme trip. Was placed in a Gold Cup a few years ago but has been in decline since. Even though he’s dropping down the ratings, his last run at Cheltenham was very disappointing and soft ground could also be against him. He’s a good jumper, ran a big race at Cheltenham and is going in the right direction. He was a couple of centimetres away from being a Grand National winner last year, is in great form at home and should go well again as he tries to go one place better on Saturday. Finished runner-up to Joe Farrell in the Scottish National last season. He fell in the Becher Chase over these fences in December and pulled up on his last start. I would prefer others. Was a highly-rated novice and took a step forward when winning at Punchestown on his last start. Definitely has a chance and looks a bit of value. I hope No. 13 proves lucky for me as I ride Rathvinden! It was in 200 when Papillon was No. 13 on the racecard when I won my first Grand National. 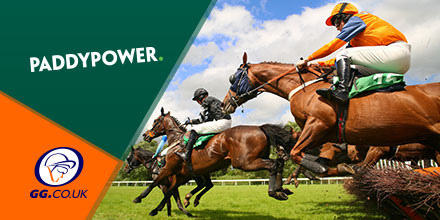 So was Annie Power when she won the Champion Hurdle in 2016. Rathvinden is a nimble little horse who has won over extreme and shorter distances. The 2017 Grand National winner hasn’t scaled those heights recently and has unseated his rider on his last two starts. I prefer others. Richard Johnson has had the most rides in the Grand National but unfortunately for him they’ve all been losing ones, as he tries to break his duck at the 21st attempt. Rock the Kasbah jumps well and should stay but he’d prefer the ground to dry out a bit between now and 5.15pm on Saturday. I wouldn’t be confident that he will see out the 4m 2f trip. A handy little horse who gallops away but it’s hard to predict what way he will run. She looks like she could stay the trip but would be the first mare to win this race since the 1950’s. I’m not sure he’ll have the stamina to see out the 4m 2f trip and that would be a huge issue for me. The better the ground the better his chances. Won well at Down Royal last time, but I’d prefer others if the ground was soft. He could have a chance on his best form. He likes cut in the ground and Mark Enright rides him. I would prefer others, but this fella should stay the trip at least and that’s a good starting point. If he can bounce back to the form he showed when winning the Thyestes in 2018 he’s got a great chance. However, his last couple of runs won’t do at all. He’s only a seven-year-old, who has a very French style of jumping. He looks like he stays forever, so he probably has a squeak. This fella has had better days. Gets in to the race as Mall Dini is a non-runner. He’s an in-and-out performer. Formerly trained by Paul Nicholls, he does stay and can often run better after a break. At 12 years of age now, I can’t see how he’s getting any better. I reckon he likes better ground and he’ll want it to dry out at Aintree before the tpres go up for the Grand National. He’s a good jumper though and will be as fit as a flea. He has gone well at Aintree a couple of times before. However, he didn’t stay in the Cross Country race at Cheltenham over a shorter trip, so I don’t know how he’s going to stay here. I hope the wind operation he had works for him, but he looks sluggish to me. He’s a horse that’s always racing behind the bridle and he’ll be a hard ride in this race. He failed to settle at Cheltenham where he finished down the field. A a strong gallop on Saturday should suit him and he could sneak his way through the field and run a good race. He has a terrible wins-to-runs ratio for a horse that runs reasonably consistently and keeps knocking on the door. He just doesn’t win very often. Comes in off the back of pulling up twice. You’d have to take a lot on trust if you fancy him. He ran well in the race last year up to a point, but looks like his best days are behind him. One of the big English hopes to keep the race at home. Sue Smith trained Auroras Encore the win the Grand National in 2013 and Danny Cook is a good rider. This horse will stay all day. He has to come back to his Irish Grand National run last April to get involved but the winning rider then JJ Slevin is reunited with him. Good jumper, good traveller, but might find the 4m 2f a stretch too far. Gets in off a lovely racing weight for jockey James Best. Stayed really well to win the Becher Chase, but the Grand National is a much more competitive contest. If it keeps raining on Merseyside, his odds could look very big come race time on Saturday 5.15pm as he loves testing ground. Unseated his rider at the Foinavon fence last year. He’s been running well but I don’t know if he has anything in hand of the handicapper. A runner from the North of England. He was third last year and Robbie Dunne rides him. He has a good record in the race but can a 14-year-old win it? He’ll stay, he jumps well, but he might want better ground. 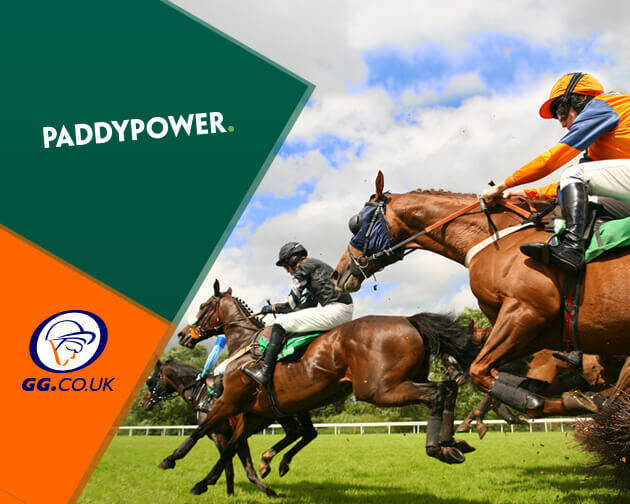 Sign up to PaddyPower here to claim a Bet 10, Get 10 offer! Applies to bets on the Aintree Festival (April 4th,5th,6th). Deposits using credit/debit cards or PayPal only. Valid for 30 days. Free bet stakes not returned with winnings. Max £10 free bet. T&Cs apply.